Pig Eat Ball still has single-player work that continues to be done by myself and Matthew. 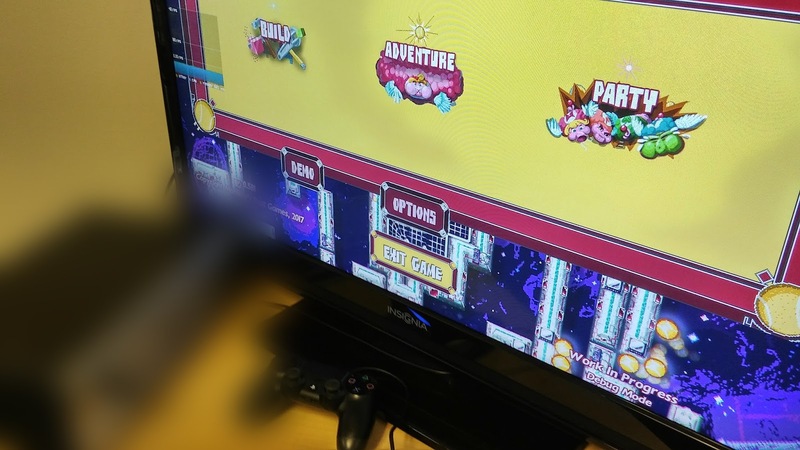 We are currently working on the World 4 boss (the "Kitchen Chaos" area). But several other areas of work have been happening recently as well! I took several trips to promote the game and make connections with publishers. The first trip was to the Game Developers Conference in San Francisco. 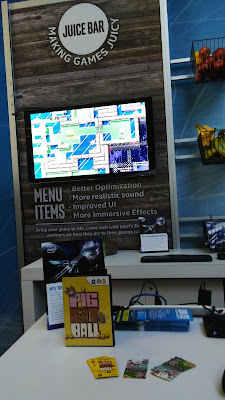 We were featured at the "Intel Juice Bar". It was nice to have free space around the expo hall, and also pretty laid back. We got this deal through applying to a special promotion and showing Intel the game. They liked it! The theme was to "juice" your game with their amazing processors. That probably made more sense for a high-end 3D game, but hey, they picked Pig Eat Ball for this, so I'm not saying 'no'! It was 2 hour slots for a few days of the show. I had a publisher meeting at the show as well. It went okay, but I'm not sure if they can really promote our game much more than we can. Talks continue. 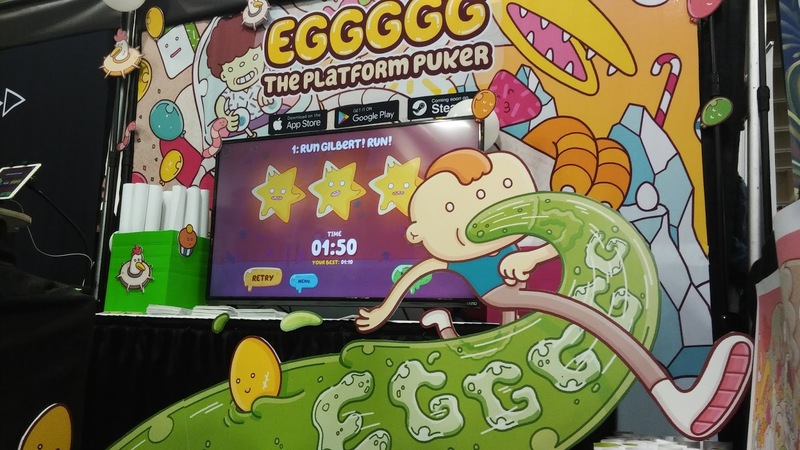 While walking the expo floor, I found another game about barf! It's very different than Pig Eat Ball, but hey "Eggggg" is pretty cool! Plus they called it 'puke' instead of 'barf' for the alliteration. It's out now on mobile! 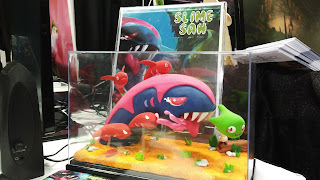 And another game on the floor had this beautiful diorama. Moving from San Francisco now to Austin Texas, I just recently returned from SXSW. 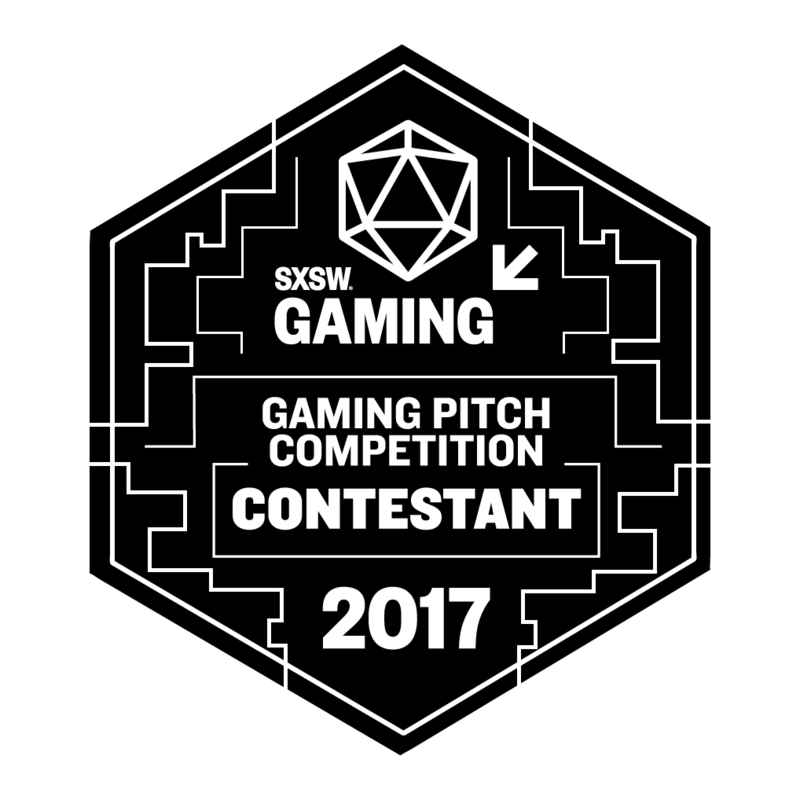 I was invited to a "game pitch contest" for Pig Eat Ball. 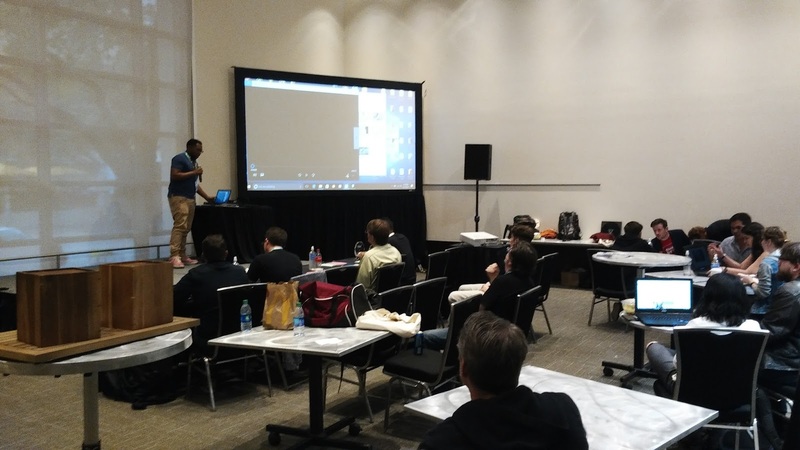 The goal was to present the most compelling pitch for your game. It was an exercise only, and had four 'industry judges'. There were no actual investors. Still it forced me to focus more on promotion of the game and to consider the target market more and to make some promotional art. I learned about promoting and pitching "the reason you made the game" in addition to what the game itself is about. 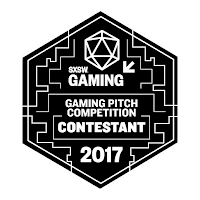 We didn't win the contest though as it sounds like we didn't go on and on about the millions of sales we'll have with our game. It feels hard to just wing some numbers out there, but hey, lots of other pitch people do that, so you probably should too. 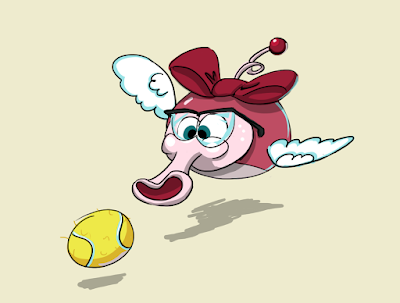 Before the event I painted this picture of Princess Bow. Here is what the space looked like for the actual pitch. That was the end of our recent trips! 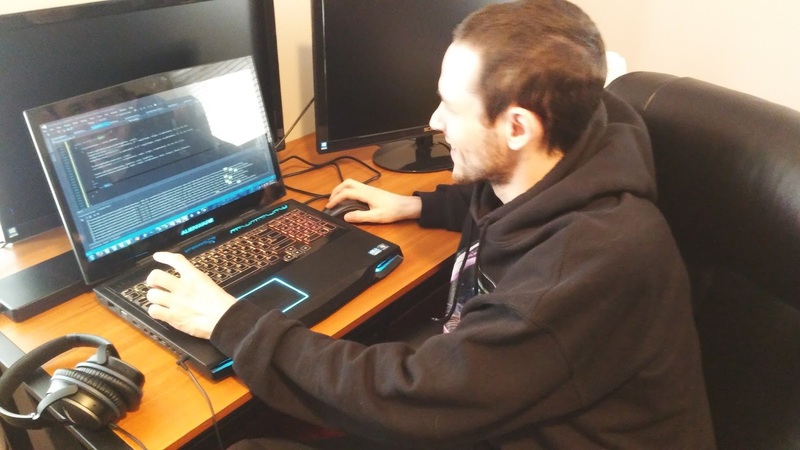 Here's more about other development occurring with the game. At Super Soul, the company in Kentucky that is helping port the game to consoles, they are working hard to get the framerate up to a buttery-smooth level. It started a bit ago, around 1 frame a second! Ouch! Then they got it up to 10fps.. much more recently, things have been around 40 fps! Pretty good, but still progress to be made. And here's a pic of the game in action. Off to the left is the development kit! But I blurred it out so we don't get in trouble. Trade secrets and all that. Now that the trips are finished I can get back to helping Matthew work on World 4. I'm excited to see how this crazy boss will turn out!